This video is split into two parts. Part two will automatically load after part one OR you can skip to part two by clicking the right arrow at the bottom of the video box. 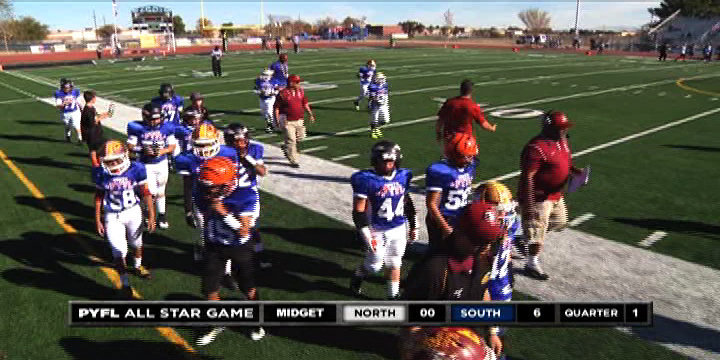 Some of the best young football players in Southern California’s Midget Division compete in this Youth Allstar Game.